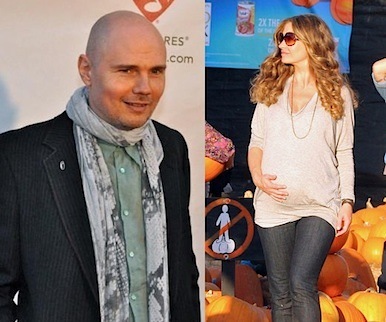 And bald villain Billy Corgan is the evil mastermind behind it all, tossing whatever dangerous devices into Rebecca’s pregnant path that he can get his hands on. Funny how many pictures there are on the internet of Rebecca and Eric surrounded by pumpkins. Previous Previous post: Coming Soon To Your Xbox 360 – YouPorn!